Do you need a garage in the North East area for your car service? Find and book it online now quickly and easily with BookMyGarage. No more hanging on the phone, just put in your car registration and postcode then pick a trusted North East garage from our comprehensive list. Enter your registration number now to see garages in the North East area or to speak with an expert mechanic today, call: 03304 004439. 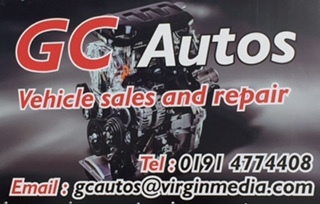 Looking for a car service in the North East? If you’re trying to find a trusted, local garage in the North East for your car service, bookmygarage.com can save you time and money, and give you the peace of mind that you’re booking the right service with the right garage. You’ll get instant prices online for your car service from your local, trusted garages. Don’t know which car service your car needs? Our online booking system will identify the right service and show you the prices from recommended, independent garages in the North East. From Newcastle to Hadrian’s Wall, with bookmygarage.com the garage for you is just a click away. Our North East Service teams are here to make your life a little easier. There’s no more ringing round garages, all you have to do to book your service through bookmygarage.com is enter your car registration and postcode and we will show you the garages that are closest to your location with customer reviews, fixed priced service costs for your car, opening hours and extra services such as collection/drop off. We believe it shouldn’t be difficult to get good quality, great value car servicing. Try bookmygarage.com now! Traffic hotspots tend to be centred around urban conurbations; Newcastle and Gateshead in particular suffer from traffic congestion during the daily commute. The North East trunk road network is currently rated the safest in the UK, and in fact the region scores better than average for road safety on all road types: On the whole the North East is well connected by the A1 North to South, the A68 which heads on up to Edinburgh, and the A69 which transects the region East to West. The beautiful Northumberland National Park makes up a large chunk of the centre of the North East; it’s a remote area with few towns or major roads, so check bookmygarage.com for your best local garage option.